Dimensions: 16 1/2" x 11 1/4" x 1"
No contemporary wedding is complete without a unique guest book alternative. 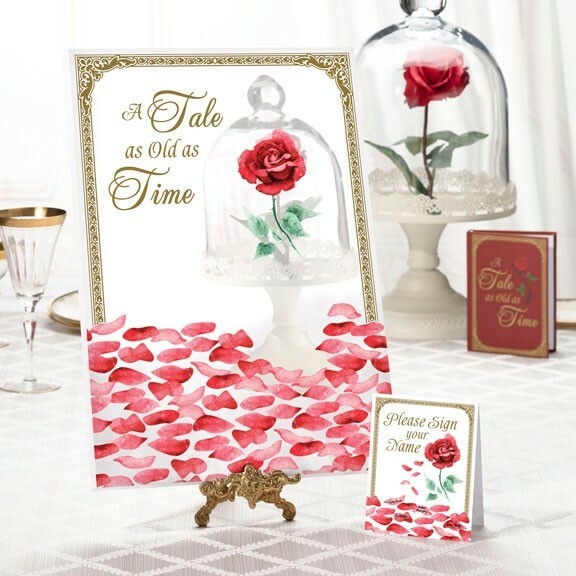 Add a bit of fairy tale charm to your reception with this distinctive rose dome and rose petals motif signing canvas. PLEASE NOTE: Pictured background items are not included, only the signing canvas.